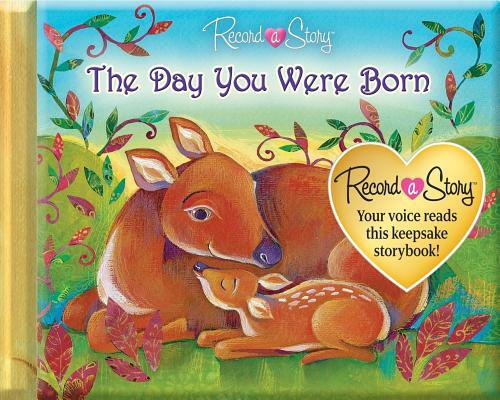 Record a Story: The Day You Were Born is a recordable storybook that enables a parent, grandparent, or other special family member or friend to read a story to a child, even if they are miles or times zones apart. The voice recording is permanent; it will not be lost when the book s batteries are changed. The product makes an ideal gift for a child age 18 months and older from out-of-town relatives, a parent who is away from home frequently, or someone in the military assigned to a faraway land. After you are finished reading the page, press STOP. You can re-record until you are satisfied with your recording. Repeat the process with the remaining pages of the book. You can also record a personalized message on the dedication page. Three replaceable AAA batteries that power the sound module come with the book.